Road Scholar participants lunching in Paris. Image courtesy of Road Scholar. ​Today’s Jewish retirees are redefining the term “senior travel” as they explore a world that is ever more accessible, logistically as well as culturally. They’re venturing to places their own parents never dreamed of (Cuba! Iceland! ); seeking out immersive experiences; and finding innovative ways to engage with classic destinations, from archaeological digs in Israel to cooking workshops in Paris. ​“People are living longer and are healthier longer, and they’re still traveling,” said JoAnn Bell, senior vice president at the Boston-based tour company Road Scholar. In the four decades since Road Scholar, then known as Elderhostel, launched its educational expeditions for the over-50 set, Bell said the company’s demographic has widened by two decades. ​Since organized leisure excursions generally skew older, educated and affluent, Jewish travelers in middle age and beyond will often find like-minded sojourners—even on trips that aren’t specifically for seniors or Jews. 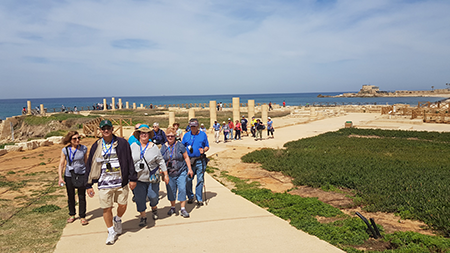 Travelers on a Gil tour explore Caesarea. Image courtesy of Gil Travel Group. How about a Spanish-language Shabbat service and dinner with the Jews of Havana, a feature of Jewish Cuba tours? Or six weeks studying and practicing Italian over espressos in Verona, a Road Scholar offering? Such trips are typical of the culturally immersive travel that is in vogue nowadays, where friendships and insights are the prized souvenirs. On Hadassah’s Israel missions, those connections are cemented through visits to the organization’s hospitals and to Hadassah-sponsored Youth Aliyah villages. “We’ll look at the hospital’s Chagall windows, but we’ll also hear about new research from the top doctors,” said Aileen Bormel, a Hadassah national mission co-chair. Though Masada and the Western Wall are still very much on the itinerary, Bormel cited cooking workshops and Purim parties as experiences that bring Israeli life into focus. While missions typically attract seniors, Hadassah does offer intergenerational experiences as well. From October 7 to 15, travelers participating in From Dream to Innovation: Hadassah’s Milestone Mission will see the hospitals firsthand during the centennial celebration of the Hadassah Medical Organization. 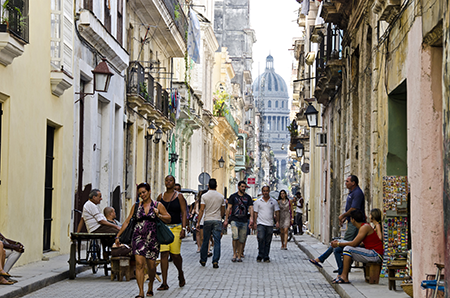 Havana, Cuba, is a popular destination among senior travelers. Image courtesy of Road Scholar. Deeper engagement is the idea behind a newer Road Scholar offering, “Living and Learning,” which invites travelers to settle into an apartment and live as locals in places like Seville, Berlin or Cuenca, Ecuador. For six weeks, participants attend small-group language classes, using new vocabulary to chat with taxi drivers and shop at the market. ​The latest Road Scholar catalog is a study in the way seniors travel now, from the immersive language stays to half-year, wintertime ocean cruises (“almost cheaper than three months renting in Florida,” Bell said). Grandparent-grandchild bus tours are a particular hit; elders can share their favorite spots, like San Francisco and the Grand Canyon, without the hassles of driving and parking. ​Among Road Scholar’s Jewish travelers, popular excursions include an exploration of New Mexico’s Crypto-Jewish heritage; a service program at Auschwitz that features lectures as well as hands-on work such as raking and sweeping the grounds; and a hike through Israel’s National Trail that winds through historic sites and natural wonders. ​In December 2015, Samuels met a first-timer on an Ayelet singles cruise: Greg Signer, an Orlando property manager. Recently divorced, he signed up for the Caribbean jaunt after months of hesitation. “I didn’t want to be alone over the holidays,” recalled Signer, now 49, who had a bout of cold feet at the airport when he realized he was vacationing with dozens of complete strangers. ​With more singles on the road, tour organizers are increasingly waiving the single supplement—the surcharge that lone travelers pay on tours that have been traditionally designed for couples sharing accommodations. That’s good news for seniors, who are likelier to be widowed, divorced or leaving a less-spry partner at home. 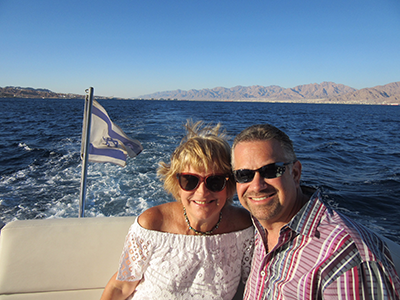 ​For upward of 40 years, retirees have been the core demographic for Gil’s Israel trips. Blum’s two-week itineraries specifically for travelers 55 and up feature fewer people, a gentler pace, and spring and fall departures that avoid Israel’s summer heat. “We’re out at 8:30 in the morning, and back by 4,” she noted. 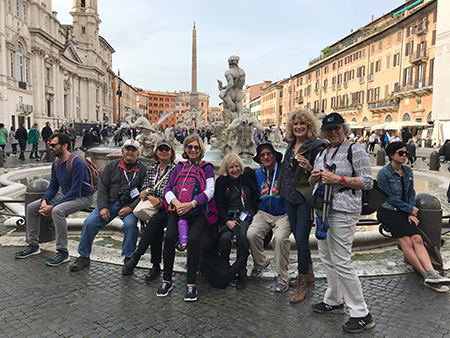 Melton’s six to 12 annual travel seminars have a passionate following among its global students—many of whom view the 10-day excursions through Israel, Iberia and Central Europe as an extension of the school’s two-year adult Jewish learning curriculum. ​Road Scholar’s website lists trips according to four categories of physical intensity, from “Easy Going” to “Let’s Go!” “Having too many different activity levels on a program is disheartening, for the people who can’t keep up and for the people who don’t want to wait,” explained JoAnn Bell, the company executive. ​For a growing number of older travelers, the low-impact solution is a river cruise. In contrast to traditional ocean cruises—which can involve miles of onboard walking and climbing between decks—river boats typically carry only a few hundred passengers, offer a flat deck for viewing and take travelers up close to ever-changing waterfront scenery. 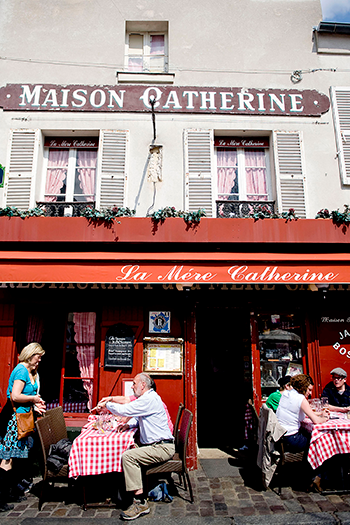 ​Many itineraries flow alongside European cities rich with Jewish heritage, such as Budapest, Vienna and Prague. Luxury cruise operator Uniworld offers a European Jewish heritage program on its Remarkable Rhine itinerary between Amsterdam and Basel. ​“There’s a tremendous amount of interest in Jewish cruising,” observed Rubtchinsky of Ayelet, which sold out a 2019 Danube trip a year in advance. River travel isn’t cheap—most all-inclusive departures start in the mid-four figures—but the convenience and exclusivity are winning over even the formerly boat-averse. Ayelet Tours operates Hadassah’s wide variety of missions. 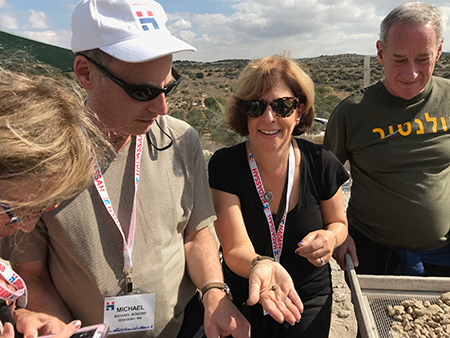 Here, mission-goers sift through debris at an archaeological find in Israel. Hadassah’s missions (from $2,500 and open to all) combine cultural highlights with insider perspective that tourists rarely access. Food is kosher; register early for discounts. From the North Pole to the South Pacific, these all-inclusive, active adventures (most tours $4,000-$9,000, no single supplements) offer destinations rare in senior travel. Melton’s intellectual tours (from $3,900) sometimes combine countries, like Spain and Israel, for a novel perspective on Jewish cultures. Gil’s senior tours, including Jewish Portugal and Active Israel, are affordable and inclusive (from $2,299 to $5,400); all Israel trips are kosher. There’s an itinerary to fit every schedule, interest, budget and body—and a handy website filter to find it ($599-$6,399, including insurance; international trips include airfare). Financial assistance and caregiver scholarships are available. Luxurious European river cruises highlight Jewish heritage; book early and they’ll waive the single supplement. Jewish heritage river cruises from $3,399.